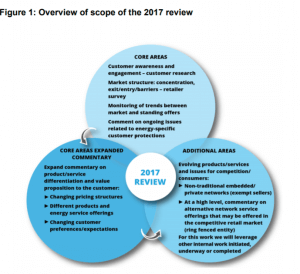 The Australian Energy Market Commission (AEMC) has obtained an extension of the timeframe for publication of its 2017 retail competition review final report (2017 report). The 2017 report will now be published on 25 July 2017. We will provide a summary of the 2017 report when it is published. For more information about these reports see our earlier article, State of the Energy Market. Given the imminent release of the 2017 report, we thought it would be timely to review what were the findings of the 2016 report. On 30 June 2016, the AEMC released its final report (2016 report) for the third annual energy retail competition review. The infographics are particularly useful in providing a snapshot of the findings as the report is 234 pages long. ‘This third annual review of competition in electricity and gas markets across jurisdictions in the National Electricity Market (NEM), finds that competition continues to be effective in most jurisdictions and is delivering benefits for customers. We have also found that there is a need to make it easier for customers to access the choices available to them. New research undertaken for this year review reveals that this is particularly important for certain customer segments as new technology expands the range of options available in the market’. The 2016 report found that competition was effective in most jurisdictions. Customers continue to shop around for the best energy deal available. The savings for customers who shopped around was between eight per cent and 30 per cent on their bill. New players had entered the market which increased the choice available to customers. For example, in 2015, there were ‘six new retail electricity market entrants in New South Wales, five in Victoria, and two in South Australia and South-East Queensland’. Interestingly, competition was less effective in the Australian Capital Territory and retail gas markets in South East Queensland. The smaller markets of regional Queensland and Tasmania also saw less competition, predominately because of the size of the market. Although customers in these areas would like more competition, the AEMC did not anticipate changes in the competition levels in these markets unless there were changes to the Uniform Tariff Policy. One of the recommendations made in the 2016 report which was implemented was the deregulation of retail prices in the South-East Queensland electricity market. This occurred on 1 July 2016. The state government of Queensland introduced price deregulation to the Energex area, an area which includes Brisbane, Ipswich, Gold Coast and the Sunshine Coast. Another recommendation, which has only just occurred, was the deregulation of gas prices in New South Wales. This occurred on 1 July 2017 and was announced by the Planning & Environment, Resources & Energy Department. As part of the deregulation, the NSW government has expanded the role of the Independent Pricing and Regulatory Tribunal (IPART) to include monitoring retail gas prices. Both IPART and the AEMC provide annual reports in relation to the gas and electricity market competition conditions. The 2016 report identified advances in technology as somewhat of a double-edged sword. These new technologies will often mean increased competition but they also are not easily understood by customers. This emerging technology must be considered when developing new customer protection frameworks. ‘For typical customers switching from an electricity standing or default offer to a competitive market offer, savings could be up to; $140 in South East Queensland; $256 in New South Wales; $383 in Victoria; and $312 in South Australia’. In support of this the 2016 report states that if found that around 50 per cent of customers had not switched electricity retailer in the last five years. As part of their 2016 report, the AEMC undertook a segmentation analysis of their customer research in an effort to identify customer segments which may require additional support to engage in the energy market. The analysis concluded that residential energy customers sit on a spectrum from low risk to high risk depending on several factors which vary over time. These factors are their financial, social and personal circumstances. targeted information about the tools available, so that they can investigate their options and capture the savings available from competitive market offers. the provision of information about the support services available. 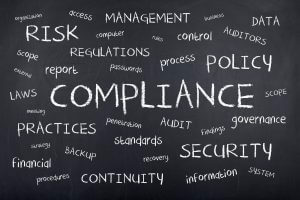 awareness by retailers that some customers who may be eligible for concessions are not aware of them, and that some customers who are particularly vulnerable may not be eligible for them. target vulnerable customers who are not engaged with the energy market or support services’. Jurisdictions continue to phase out retail price regulation for electricity and natural gas where effective retail competition can be demonstrated, as agreed under the Australian Energy Market Agreement. Jurisdictions coordinate the development of NEM-wide awareness and engagement programs to make it easier for customers to access the best options for their circumstances and improve customer confidence in the energy markets. Jurisdictions review concession policies to assess opportunities to better target them to customers most in need and to harmonise their structure across jurisdictions, where substantive differences exist. AEMC Information sheet, Scope and approach, at p 2.